Kate Schmitt’s Singing Bones came to me during a fragmented time of my life, and this book about suicide, depression, and storytelling spoke to me in deep, mysterious, and ultimately healing ways. Ever since my dad shot himself several years ago, I have been alternately grief-stricken, numb, and inquisitive about his death. Why did he do it? What did it mean? And what does his suicide say about who I am and who I’ll become? 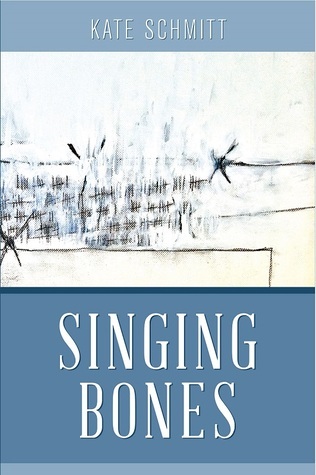 Singing Bones is a fragmented quest for Schmitt to understand her grandmother’s suicide, even as the author descends into an underworld of depression, self-mutilation, and suicidal thoughts. It’s a memoir that takes the form of loosely interconnected flash essays, bits of poetry, epigrams, and other hybrid forms. In fact, the book’s fragmentation is vital to its meaning, purpose, and overall effect. Her story could not have been told in the same way, in other words, with a straightforward chronological narrative. Many literary tropes and models shape this narrative—everything from fairy tales to Virgil’s The Aeneid—and those literary references are an integral part of the story Schmitt is telling. As much as anything else, the book is about how stories get constructed and told. In an early chapter-essay called “Time Warp,” the narrator says that when she looks back at her notebooks from the prior ten years, “I see that I have recorded the days out of order, as though chronology was always unclear to me, sequence and consequence unconnected.” The text mirrors these non-chronological journals, even as it shapes a narrative out of them. Some of the book’s essays are addressed directly to her grandmother: “I think of your life as a colored line, stretching above me, a downward-slanting trajectory with a date at the beginning and end.” She speaks to her grandmother in an attempt to solve the mystery of her life and her death. In this sense, the book resembles Joan Wickersham’s The Suicide Index, which uses fragmented, non-chronological pieces to try to solve the mystery of a father’s suicide. Singing Bones has another mystery to solve, as well: the mystery of the narrator’s own mental and emotional state. At one point she ends up in the same clinic where her grandmother spent time, and she begins to realize that the tendency toward depression and suicidal thinking are in her DNA, in her very bones. Solving the mystery of her grandmother becomes, therefore, a way to solve her own mystery. The arc of Singing Bones, however, is not all about descent. It’s also about coming back up to the surface. The narrator gradually starts to realize that she has some choice in the matter. Suicide is not, necessarily, her destiny. She can decide to live. She discovers this not only through therapy and pharmaceuticals, though she gets plenty of those, but also through the process of storytelling itself. Constructing a narrative, no matter how fragmented, is an act of survival, an act of claiming territory in the land of the living. I’m still trying to bring my dad back. I’ve started to write fragmented stories. I’ve mapped out the journey to the underworld. I’ve asked why, how, and what now. I’ve tried to make sense of the senseless act of suicide. I haven’t yet gathered up his bones, but when I do—as the living must—I hope they start to sing. Vivian Wagner is an associate professor of English at Muskingum University in New Concord, Ohio. Her essays have appeared in McSweeney’s, Kenyon Review, Zone 3, Pinch, and other publications. She’s the author of Fiddle: One Woman, Four Strings, and 8,000 Miles of Music. Of coursed I’m biased, as the Nonfiction Editor of the press that published this memoir, but this review is beautifully written and speaks so well to the potential emotional connection inherent in Schmitt’s book. I can only hope Wagner’s father’s bones too begin to sing and she sends them to Zone 3 Press. Beautifully written review and clearly heartfelt in deeply sorrowful yet hopeful emotions. I am so sorry for your family’s loss of your father; there aren’t words to express his pain or your unanwered questions. I agee with the editor’s words above – i hope you will eventually share so that we all find glimmers of understanding for tragedies that affect far to many families. Working with Kate Schmitt’s Singing Bones has been a phenomenal and healing experience. This review from Vivian Wagner really hits it on the head for me. 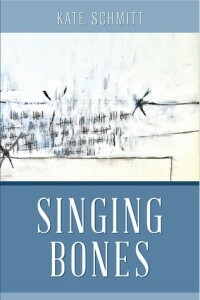 You are currently reading A Review of Kate Schmitt’s Singing Bones at BREVITY's Nonfiction Blog.